Hey there! And thanks for checking in with me. 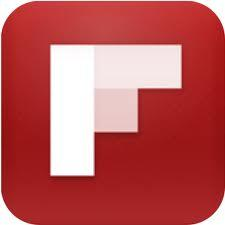 I hope we’ve been able to inform or enlighten you with key travel news or advice today with TravelSkills on SFGate. Have you learned something new or picked up a new “travel skill?” If so, please SIGN UP to get twice-per-week email updates from TravelSkills. I’m the founder of Travel Skills Group, Inc., and have been offering money-saving, comfort-enhancing travel advice (with a business travel bent) across a wide variety of media since 1990. TravelSkills on SFGate is a continuation of that effort. When it comes to travel, I’ve been all over the map (literally and figuratively) during the last 25 years… I’ve been based in Atlanta and San Francisco, and have traveled to every continent except Antarctica (it’s on the bucket list!). I hit the road or the skies about once or twice per month and head overseas five or six times a year. I’m now based in San Francisco, and travel most frequently to New York, London, Atlanta, Los Angeles, Denver, Seattle and Chicago. (Tokyo is my current favorite city in the world, but that changes frequently!) Since I’m in the travel industry, I consider nearly every trip I take to be a “business trip” because I always have my reporter’s eyes and ears open for what’s new or unique. I currently produce TravelSkills on SFGate, a blog for frequent travelers that is now part of Hearst network of news sites, including my hometown newspaper, The San Francisco Chronicle. I’ve been a travel columnist for BBC.com and travel correspondent on CNN Headline News. I’ve also been the business travel columnist for the Atlanta Journal-Constitution and Entrepreneur magazine. I regularly contribute and comment about travel trends on TV networks like CNN, HLN and Fox News and create occasional special business/luxury travel sections for the Wall Street Journal, Fortune and Bloomberg-BusinessWeek magazines. I’m also an engaging speaker or panel moderator (hire me!). Plus, I’m the author of two books on business travel published by McGraw-Hill. Running a great travel blog takes a lot of work, and I can’t do it all myself, so I rely on contributors. Do you possess the wisdom of the road warrior and want to write for TravelSkills? Then please contact me. Thanks again for dropping by… I look forward to interacting with you here or on our social media streams. Here’s my latest CNN appearance– click on the arrow below to launch video. Wanna see more? Here are links to all the things I’ve been doing over the last few years. Writer and producer for a series of business and luxury travel sections in FORTUNE, Forbes, and Bloomberg/BusinessWeek magazines. Editor, Expedia Travel Trendwatch, a quarterly report on consumer travel trends, insight and tips. Travel correspondent for CNN Headline News, and Travel Adviser columnist for CNN.com where he covered consumer travel issues from 1996 through 2005. He was also the travel correspondent for the Weather Channel for two years. For nearly a decade in the 1990’s, Chris was the Business Travel columnist for the Atlanta Journal-Constitution, Entrepreneur Magazine and the Atlanta Business Chronicle. Author of two books, The Unofficial Business Traveler’s Pocket Guide (1998 McGraw-Hill). 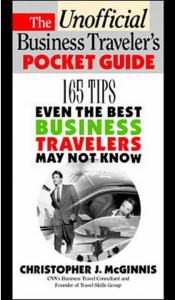 And 202 Tips Even the Best Business Travelers May Not Know (1994 McGraw-Hill). Before focusing on business travel, Chris was a management consultant and corporate trainer, logging over 100,000 frequent flyer miles a year. Chris earned an MBA from the Thunderbird School of International Management in Phoenix, AZ, and an undergraduate degree from the University of Colorado at Boulder. Read the story of Chris’s career path in Travel Career Connections. When he’s not on a plane or at his desk, Chris is working hard to launch his famous family concoction, The McGinnis Manhattan.